and a badger all to find. interest. The locomotives are from the major manufacturers Classes 08 - 67 while the odd DMU can also be seen. so there is plenty of variety to keep your interest. easier to transport to shows. We also have rather tight curves compared to the sweeping curves you might have in a garden. An historically accurate 00 model railway layout portraying a busy East Coast main line steam shed circa 1961/2. 75 00 with electrafrog points. The points are operated by the very realistic slow acting Circuitron Tortoise point motors. now portrays an much wider area and times. 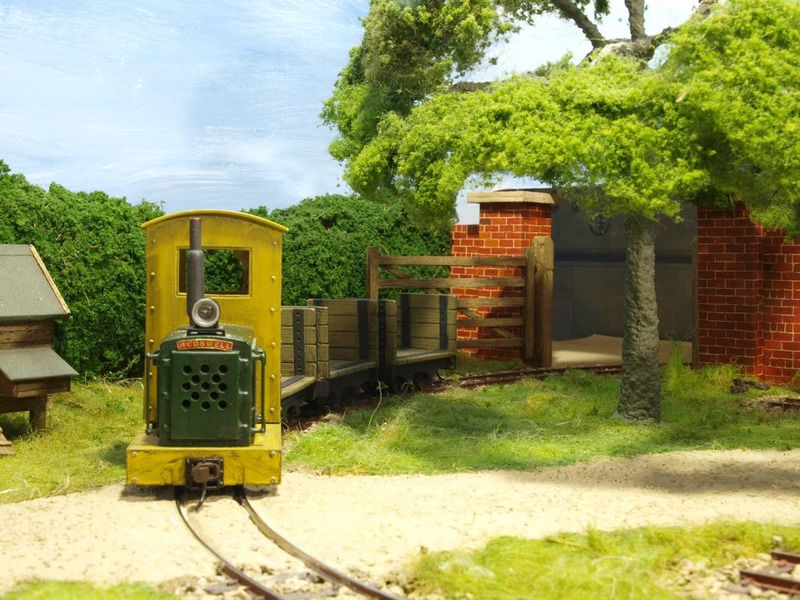 Despite being 0 scale it uses 00 rail to portray its light railway nature. framework with a plywood trackbed. The hills are constructed of water based fibreglass over a shell of wire netting. the same track with the space between them being maintained by infrared sensors and a computer controller. in particular the greatest city on the Circle Sea, Ankh-Morpork. The scene is urban with a tidal river to the front. 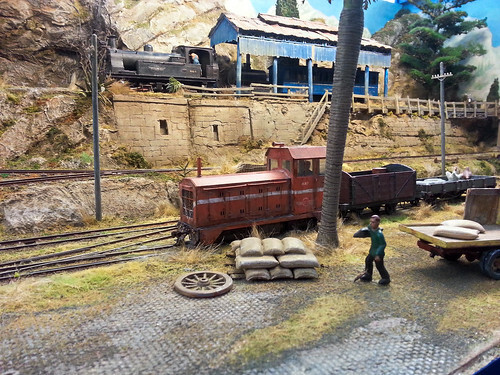 (1/76) scale, using a track gauge of 9mm, which equates to 2'3" narrow gauge. This combination is known as 009. Range provided a route to coastal shipping and was incidentally to connect to a local lignite mine, still known as Zorba's. Train and Port Wynnstay castings. Control is still analogue but plans are afoot to convert to DCC when we have the courage. July 2014 issue of Railway Modeller. a mixture of ready to run and kit built locos’, all converted to EM standards using various methods of conversion. a passing loop in the station and 4 track traverser in the fiddle yard. built around a 3mm MDF shell overlaid with balsa and thatched with cotton "thrum" (weaving loom warp thread). Sidelines parts and are fitted with Kadee magnetic couplings allowing for hands free shunting. At this year's exhibition Keighley Plastic Model Club presented the Eddie Findley Trophy for best model to Dave Farrow for his winning model a 1/9th scale bicycle.